Farmville, Cityville and Villeville. Social games don't have a good reputation and with good reason. Many of them don't extend beyond basic clones of Tetris or Bejewelled and they never really have depth to them. The ones that are a bit more extensive end up caught in the web of "you must invite x number of friends to proceed". Here is the latest game in the Facebook world. 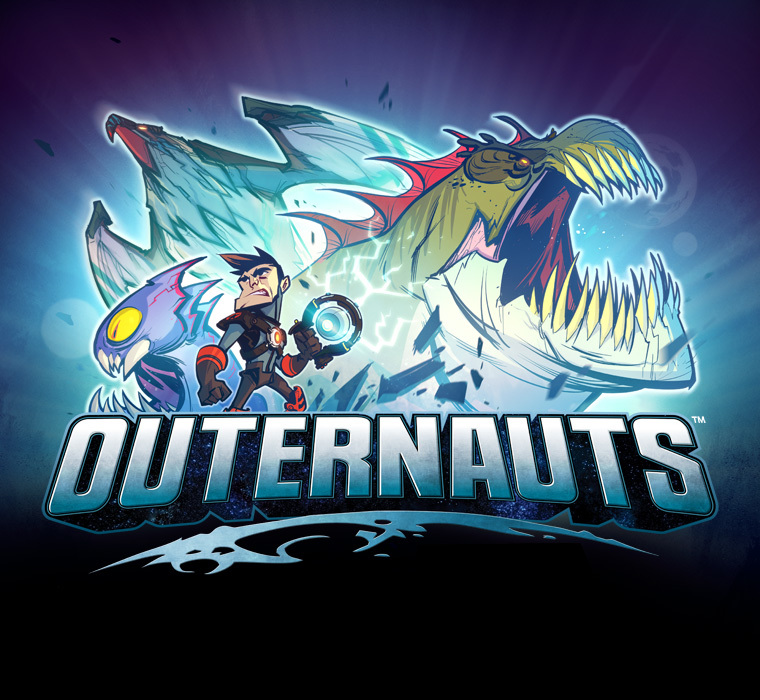 Outernauts is a Facebook game designed by Insomniac Games, creators of the Spyro the Dragon, Ratchet & Clank and Resistance. 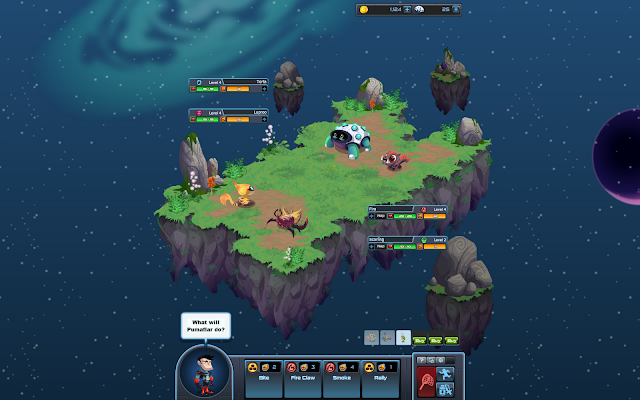 The game follows a simple system: befriend space monsters, then use them to fight and capture more space monsters. Sounding familiar? 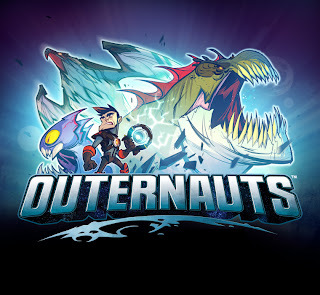 There will also be other space monster trainers - other Outernauts to compete against. Yeah, okay, it's Pokémon in space. Complete with evolution, 4 moves per monster and double battling. Even the battle transition is scarily similar. But none of these things are a bad thing and I'm certainly not about to call "cheap-knock-off", it definitely is a tribute and is tastefully done and well fleshed out. Pokémon fans will be pleased to play this while they wait for the next installment of their beloved franchise. It's a tough road to becoming the greatest Space Pokémon Master. The format follows the same as many social games, you operate from a central hub your "homeworld" and here you build structures to assist you in your adventures. 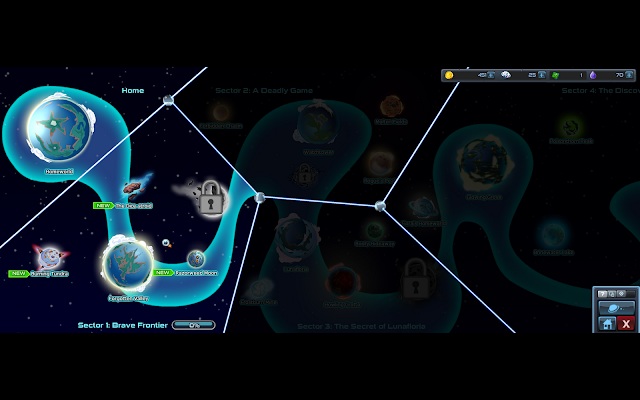 Which takes me to the star map: it allows you to go to other worlds where you will find other monsters to capture and other various problems that need solving in form of quests (that usually require: collecting items and beating other monster trainers). The game itself is simple but effective, much like the source material from which this has been inspired. 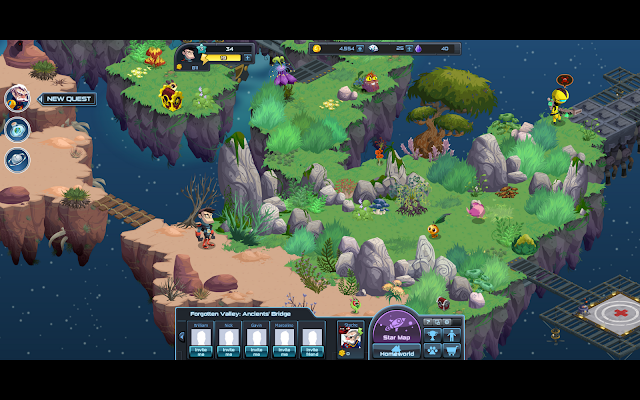 It provides a colourful theme, and recognisable gameplay. Inevitably you'll hit the wall where to continue you'll need another 20 friends, but until that moment I think I can enjoy the light storyline and monster battling. Double Battles are present, oh yes. I urge Pokémon fans and people who just want a bit more out of their social gaming to try Outernauts, it's light humour and colourful style will keep you amused for hours - probably at work and probably further dampening your productivity. It's fine - have fun! Hopefully this is a sign that Facebook/Social games are now evolving (no pun intended) and we'll get some more great quality gaming beyond Bejewelled and 'Villes. "You need 6 friends to carry on". Dammit! Currently there are pretty big issues with the energy recovery system, energy being the currency you use to perform actions (as in all Facebook games). The regeneration is a tad slow and costs and high so you'll find yourself waiting far too long to carry on playing. The bar is set a bit too high which may lose them some players in the long-run. Apparently this issue is being worked on so I imagine it'll be fixed by the time you get around to trying this out anyway!